Internet has become the chief source of an individual to convert complex task into a simple task. Since the excessive use of anything is harmful, the exploded adoption of the internet has also resulted into the rapid increase of Cyber Crime which is emerging as a serious threat. Worldwide governments, police departments and intelligence units have started to react. Initiative to curb cross border cyber threats is taking shape. Indian police has initiated special cyber cells across the country and have started educating the personnel. The Assocham-Mahindra SSG study has warned rising of cyber crimes in the country at an alarming rate, could pose serious economic and national security challenges. The statistics that have been demonstrated and observed show the seriousness of Cyber Crimes in India. The country has registered 107% of CAGR (Common Anual Growth Rate) in the number of Cyber Crimes registered in last few years. No doubt, India has emerged as a favourite among cyber criminals, mostly hackers and other malicious users who use the Internet to commit crimes such as identity theft, spamming, phishing and other types of fraud, the increasing use of smartphones and tablets for online banking and other financial transactions have increased risks. As per the study’s findings, total number of cyber crimes registered during 2011, 2012, 2013 and 2014 stood at 13,301, 22,060, 71,780 and 1,49,254 respectively. “What is causing even more concern is that the origin of these crimes is widely based abroad in countries like China, Pakistan, Bangladesh and Algeria, among others,” Assocham Secretary General D S Rawat said. Phishing attacks of online banking accounts or cloning of ATM/debit cards are common occurrences. Maximum number of offenders belong to the 18-30 age group, added the report. It has assumed supreme importance with increasing use of information technology (IT) enabled services such as e-governance, online business and electronic transactions, protection of personal and sensitive data. The economic growth of any nation and its security whether internal or external and competitiveness depends on how well is its cyberspace secured and protected. The attacks have mostly originated from the cyber space of countries including the US, Europe, Brazil, Turkey, China, Pakistan, Bangladesh, Algeria and the UAE, the study revealed. Smartphone users rarely check for security certificates while downloading apps (games, music and other software) from third party or unsecured sites, the study also said, adding that mobile banking apps store data such as PIN and account number, on the phone and there is a risk that if the phone is hacked or stolen, then the information is compromised, the study said. It further stated that mobile frauds are an area of concern for companies as 35-40 per cent of financial transactions are done via mobile devices and this number is expected to grow to 55-60 per cent by 2015. Rising Internet penetration and online banking have made India a favourite among cybercriminals, who target online financial transactions using malicious software. India ranks third after Japan and US in the list of countries most affected by online banking malware during 2014, the study said. Andhra Pradesh, Karnataka and Maharashtra have seen the highest number of cyber crimes registered under the new IT Act in India. Interestingly, these three states together contribute more than 70 per cent to India’s revenue from IT and IT related industries. The tension between India – Pakistan is building up, as the firing goes on at the border. While people are predicting a battle on the grounds, online war has already begun. Recently, an Indian hacker hacked Pakistan People’s Party’s official website and taking down Pakistan Railways website. The dispute over Kashmir is a never ending issue between the two countries, and one can only pray that a war doesn’t happen, actual or cyber or however. Not only this, social media has become a source of blackmailing through email phishing, hacking user’s Id including their personal information, virus imitation, and cyber vandalism. There are crimes that are only committed on the Internet and are created exclusively because of the World Wide Web. 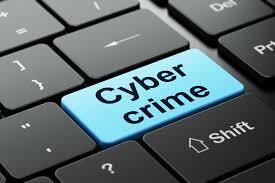 The typical Cyber crimes are now being brought to a whole different level of innovation. Even some crimes are unknown to the people, consequently most of the people fall into the trap. The most common and popular one among all is email “phishing”. Such emails are covered by the illusion that the communication is legitimate and is from your bank or financial institution. These fake emails ask to surrender your sensitive information related to your bank account or credit/debit card. Once gained access, hackers make use of the information either to gain access into your account online and transfer money or make an online sale using the captured information of your debit/credit card. The reality is that Internet criminals are rarely caught. One, the hackers will use one computer in one country to hack another computer in another country and another eluding technique used is the changing of the emails, which are involved in virus attacks and “phishing” emails so that a pattern cannot be recognized. It is the ‘social media’ now a days which has become so much manifested in its presence through facebook, twitter, instagram and various other similar themed networking websites that it has become virtually impossible to ignore their impact on society as well as law and order. The criminals have started using internet in a big manner as a platform for giving desired results to their nefarious agendas as they are easily able to mask their identities and rejoice in the satisfaction of invisibility over the internet. Frankly speaking, internet though offers great benefit to society, also present opportunities for crime using new and highly sophisticated technology tools. Since the computer or mobile used for the crime could be tracked now with the latest technology, the youths of today, who made the computer to dance on their fingers are inviting for punishment under cyber crime by making its misuse. The recent Jat Andolan in Haryana and Patel Agitation in Gujarat are the glaring examples of misuse of internet to reach the youths to win their support and finally misuse them as a protective shield at a particular place within no time. Not only this, the internet is being misused in Jammu and Kashmir and making the events of Ghalllughara, Shiv Sena, Sikh hardlineers and sacrilege incidents of Holy Books to add fuel to the fire. An individual can do their best to protect themselves simply by being cautious, knowledgeable and careful. Internet users need to watch suspicious emails, think twice before giving any personal information, use unique passwords, and run anti-virus and anti-spyware software. Do not open any email or run programs from unknown sources. At the same time, it becomes the prime duty of the parent to have proper check on their children and spend maximum time with them to change their mindset so that they may not think of committing not only cyber crime or any other crime in their life. Besides, cyber policing with stringent punishment rule is the need of the hour. Despite the fact that use of internet has become a part of one’s life, the next war too could be a Cyber Crime War and need of the hour is to formulate stringent Cyber Policing.